With the swan song of this year's Trinity Term having ended today, the Patents Court has been a hive of activity. Last minute applications, end of term hearings and judges clearing their desks of judgments are the usual features of the end of the English Court's term. This term has been no different, but my, how they have ended in a dramatic fashion with....drum roll please...a reference to the CJEU from Mr Justice Arnold on the SPC Regulation in Merck Sharp & Dohme v Comptroller-General of Patents  EWHC 1896. What do you do if your patent is about to expire, but despite notice that Member States have agreed to grant your marketing authorization (MA) under the decentralized procedure, a MS has not yet taken the step to actually grant it? You still make your SPC application, of course. 1. Is an end of procedure notice issued by the reference member state under Article 28(4) of the Medicinal Products Directive equivalent to a granted marketing authorisation for the purposes of Article 3(b) of the SPC Regulation. 2. If the answer to question (1) is no, is the absence of a granted marketing authorisation at the date of the application for a certificate an irregularity which can be cured under Article 10(3) of the SPC Regulation once the marketing authorisation has been granted? By law, before a medicinal product can be placed on the market, it requires a MA. Getting a medicinal product to this point cant take upwards to 15 years. By the time a MA for a medicinal product is granted, much of the term of the patent that protects the product will have expired. This means that the effective protection under the patent is insufficient to cover the investment in R&D (see Article 4 of the SPC Regulation). For this reason, a new right - the Supplementary Protection Certificate (SPC) - was introduced by the SPC Regulation in order to address that problem. SPCs provide an additional period of protection - up to a maximum of 5 years - for a product (i) subject to a valid MA at the date of the application (Article 3(b)) and protected by a patent (basic patent) in force at the date of the application (Article 3(a)). National courts and the CJEU have spent many years wrangling with the interpretation and application of the SPC Regulation. "ezetimibe and atorvastatin or pharmaceutically acceptable salts thereof, including atorvastatin as atorvastatin calcium trihydrate". The problem was that at the time of the SPC application, there was no granted MA in the UK. MSD obtained a MA and SPC for the mono product - ezetimibe - in 2003. It then obtained a MA and SPC for a combination of ezetimibe and simvastin - in 2004 and 2006, respectively (Merpel was struck by the relevance of this in the decision given that Article 3(c) objections were not in dispute, save for in the Dutch court). In September 2006, MSD began development of the fixed dose combo of ezetimibe and atorvastatin. However, it encountered formulation difficulties. Seven years later, in September 2013, MSD filed MAs for Atozet in a number of Member States using the decentralized procedure (DCP) of obtaining a MA. MSD designated Germany as the reference Member State (RMS). As the RMS, the German medicines regulatory authority - Bundesinstitut für Arzneimittel und Medizinprodukte - coordinated the approval process, preparing the draft documents and, most importantly, the draft summary of product characteristics (SmPC) on which the other Member States comment. All Member States' respective regulatory bodies need to be happy with the documents before the procedure is closed. Thereafter, once agreement is reached, each Member State has 30 days to grant the MA. The German medicines authority did not accept that MSD had filed a valid application until 13 February 2014 (another interesting inclusion, muses Merpel....). On 12 September that year - a single day before the patent expired (remember the basic patent has to be in force under Article 3(a)) - MSD applied for its UK SPC at the UK Intellectual Property Office (IPO). However, MSD did not have a granted UK MA. Instead, MSD submitted, with their SPC application, a copy of the end of procedure (EoP) notice from the German medicines agency stating that the DCP had ended with approval. MSD explained that the effect of the EoP notice was that concerned Member States, including the UK, had agreed to grant a MA for Atozet. MSD therefore asked the UK IPO for permission to supplement their application when their UK MA was granted. Five days later, the UK IPO's examiner said MSD's application did not comply with Article 3(b) because at the time of filing their SPC application, they did not have a valid UK MA. 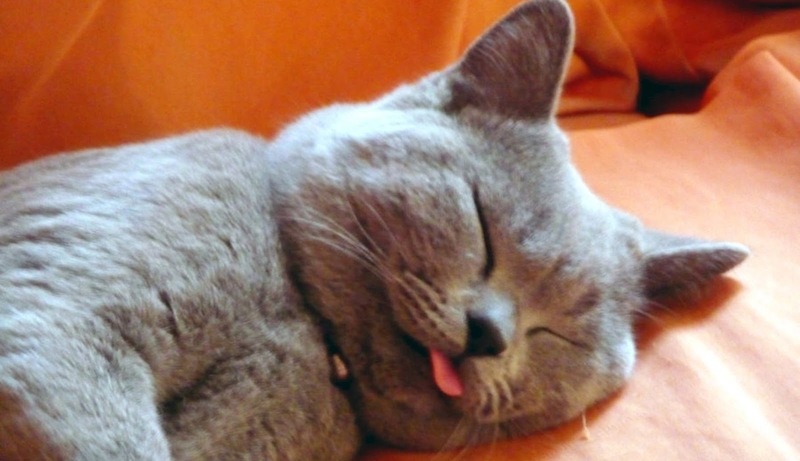 The EoP notice did not satisfy that requirement. The IPO also objected to the application on Article 3(c) grounds. Three weeks later, the UK MHRA granted the MA on 10 October 2014. MSD submitted a copy of the UK MA, together with the first EU MA (from France) and asserted that these documents would rectify any irregularities in the application. The examiner maintained her objections, leading to a hearing in which the hearing officer agreed that Article 3(c) was satisfied but the SPC application fell foul of Article 3(b) which could not be cured under Article 10(3). Did the SPC application comply with Article 3(b)? The focus of the SPC Regulation and regulatory approval is MA grant. 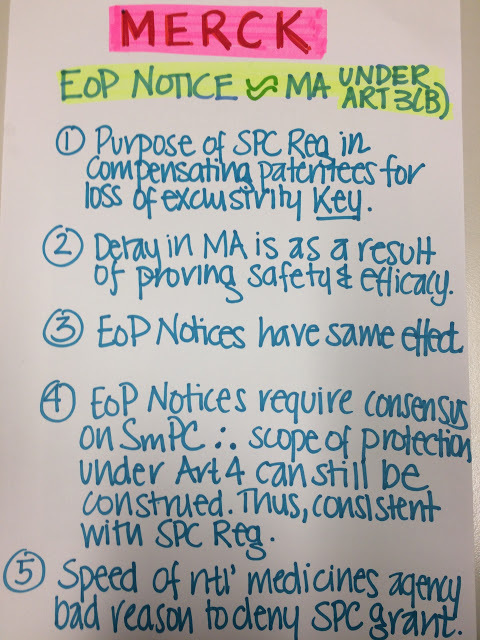 The SPC Regulation only talks about MA grant There is no mention of EoP Notices in the SPC Regulation. MA grant is necessary to launch a product. EoP Notices have no legal effect. 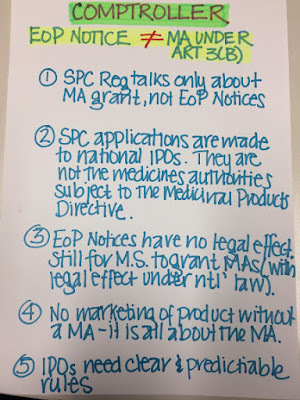 Only national MAs have legal effect under national law and it is still for Member States to grant a MA (despite the mandatory provision of Article 28(5) of the Medicinal Products Directive which provides that once the approval is recorded, each concerned Member State "shall adopt a decision in conformity with the approved assessment report, [SmPC]...within 30 days after acknowledgement of the agreement". SPC applications are made to national IPOs who are not medicines authorities subject to the Medicinal Products Directive. Therefore, at the date of the application, there was no valid MA granted in the UK to place Atozet on the market. The EoP Notice was not equivalent to a MA for this purpose. Is the absence of a MA an irregularity that could be cured under Article 10(3)? An applicant for an extension has to apply by a specific date irrespective of whether it has all the relevant materials or not (i.e. two years before SPC expiry). If no application is made by this date, no extension can be obtained. By contrast, an application for an SPC can only be made after the grant of the patent and the grant of the MA. Once those two events occur, the applicant has 6 months to make an application. Article 3 - and therefore Article 3(b) - does not apply to an application for an extension. Article 3(b) - a valid granted MA - is a condition of grant. Such a condition is absent in extension applications, as noted by Jacob LJ in DuPont. Even if Article 10(3) was employed to assist MSD, it was a dead end on the basis that you can't cure the incurable. That is to say, a condition of grant under Article 3(b) is that there is a valid MA at the time of applying for the SPC. At the date of application there was no granted MA and there was not until after the application for the SPC had been made. Had the applicant merely forgotten to supply a copy of the MA, then that could be occurred by Article 10(3), but in this case there was no MA to supply. So, why the reference then? due to the presence of divergent decisions in other Member States on the SPC. On the latter, he noted that in Portugal and Sweden, the SPC was refused on the same ground. However, in Denmark, Greece, Italy and Luxembourg granted the SPC. 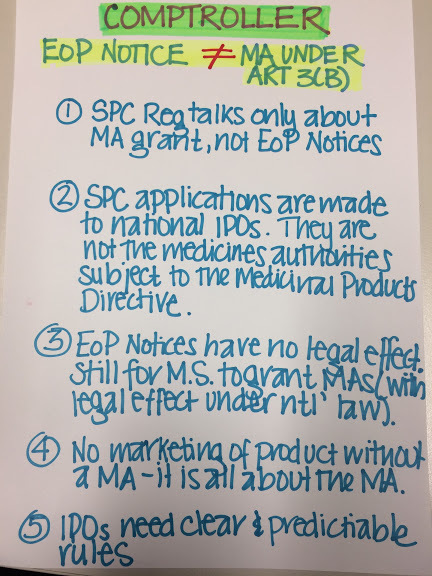 The Dutch Patent Office refused the SPC but on Article 3(c) grounds (there was no objection on Article 3(b) as it accepted the EoP Notice as being equivalent to a MA). "In these circumstances, I consider that it is only by referring the matter to the Court of Justice of the European Union that an authoritative ruling can be obtained." we feel the information BREAKING: Mr Justice Arnold refers questions on Article 3(b) SPC Regulation to CJEU that's all. hopefully the information BREAKING: Mr Justice Arnold refers questions on Article 3(b) SPC Regulation to CJEU that we have conveyed can provide benefits for you and all visitors of this blog, if any criticism and suggestions please comment. you just read BREAKING: Mr Justice Arnold refers questions on Article 3(b) SPC Regulation to CJEU if this article is considered useful and you want to bookmark and share it please use the link https://stephaniefulke.blogspot.com/2016/07/breaking-mr-justice-arnold-refers.html and what if you want other information look for another page in this blog.